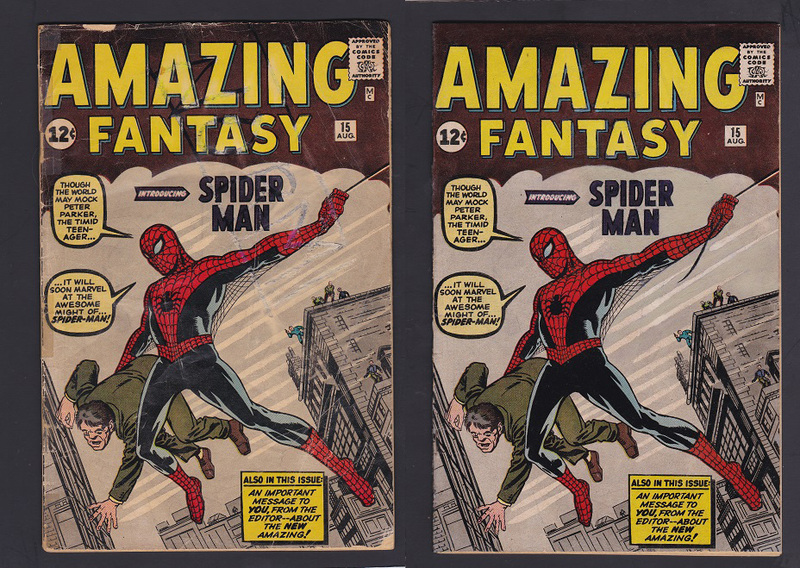 This entry was posted in Comic Restoration and tagged amazing spiderman 1, asm 1, comic book pressing, Comic book restoration, comic pressing, Comic restoration on October 6, 2015 by Mike DeChellis. 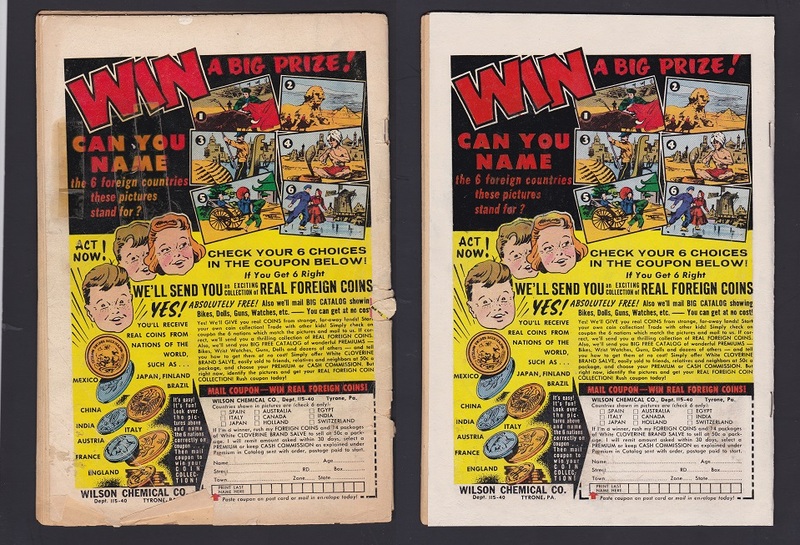 This entry was posted in Comic Restoration and tagged color touch, comic book pressing, Comic restoration, leaf casting, tape removal on May 2, 2015 by Mike DeChellis. 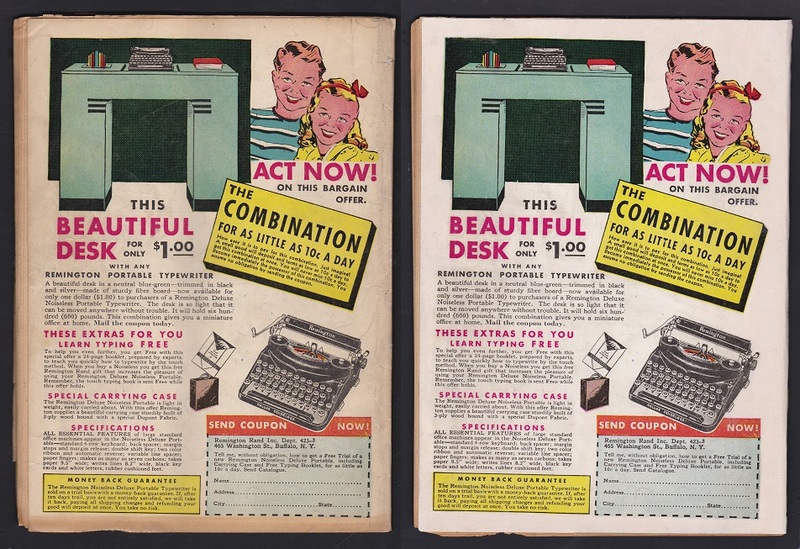 I have restored much worse off books than this Brave & Bold #28, but this book was not without its challenges. 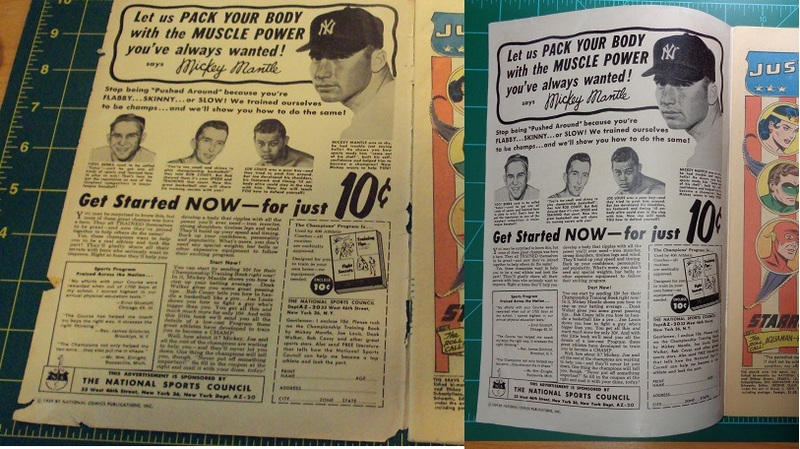 The tape on back cover was tough, requiring aggression to the point the black inks ran. 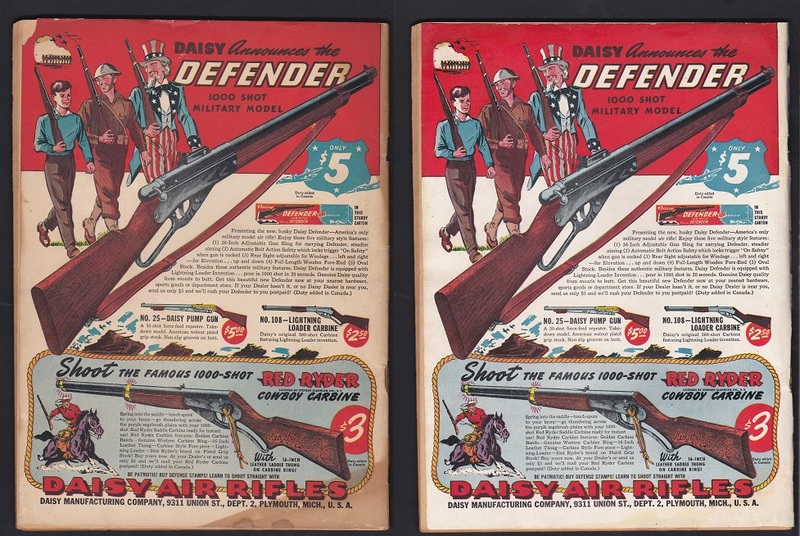 Front cover had a few small pieces missing, two tough colors to match since they were made up of dots. 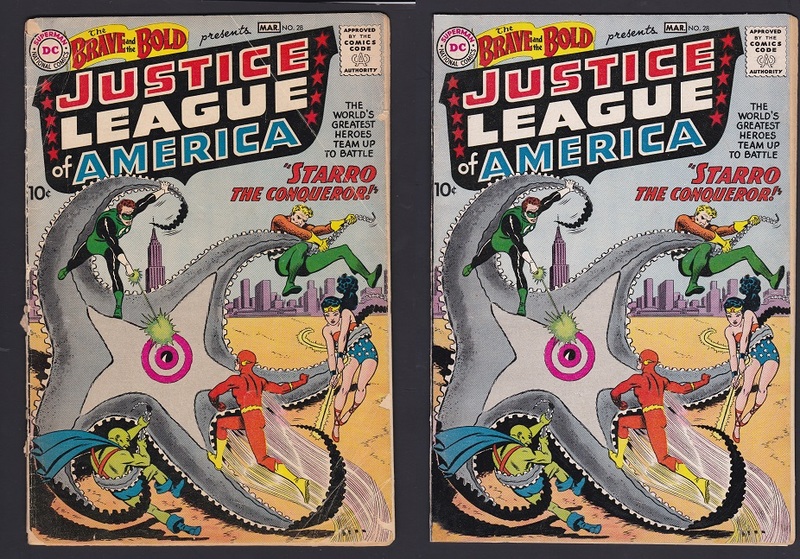 This entry was posted in Comic Restoration and tagged color touch, DC Comics, leaf casting, restoration, restoration removal on September 26, 2014 by heroAdmin. 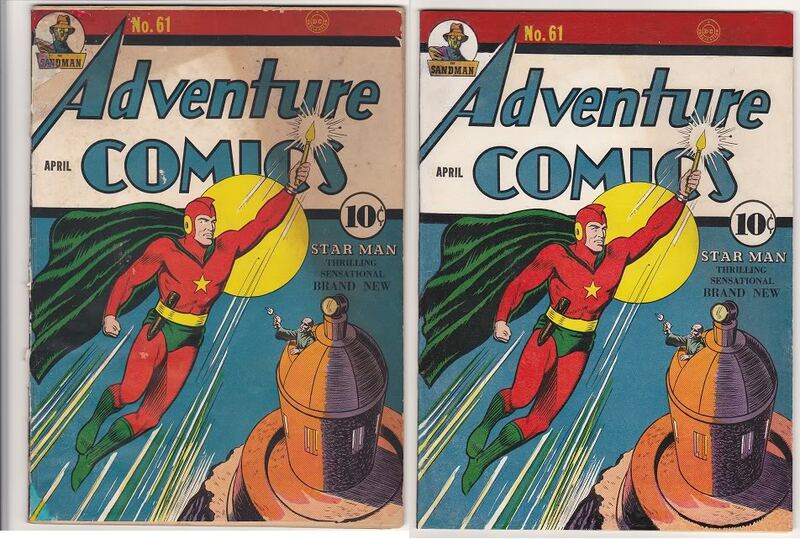 This major key, the first appearance of Starman, had no where to go but up. It had been restored by an amateur a long time ago so it graded at an aproximate 1.5 extensive amateur which is almost worse case senerio. 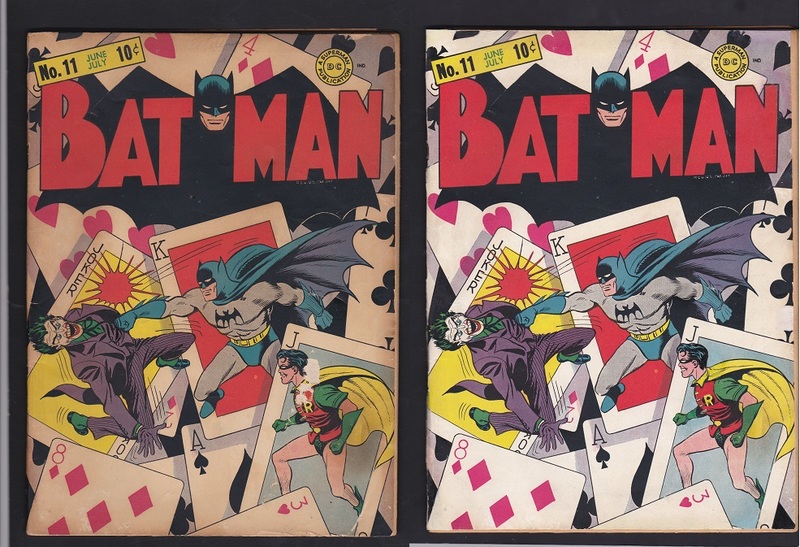 Work performed was remove old restoration, wash cover and pages, leaf cast the cover and the first page, color touch cover and first page, clean staples and a final pressing. 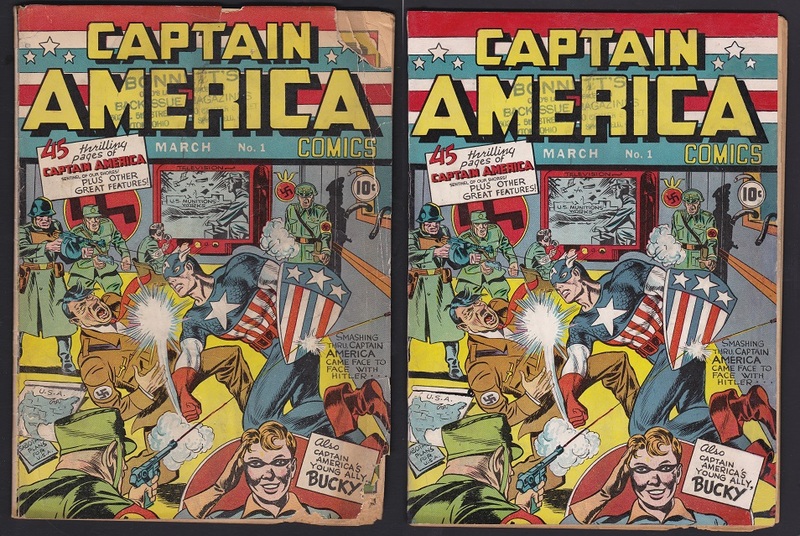 This entry was posted in Comic Restoration and tagged creases, Marvel Comics, restoration on September 26, 2014 by heroAdmin. 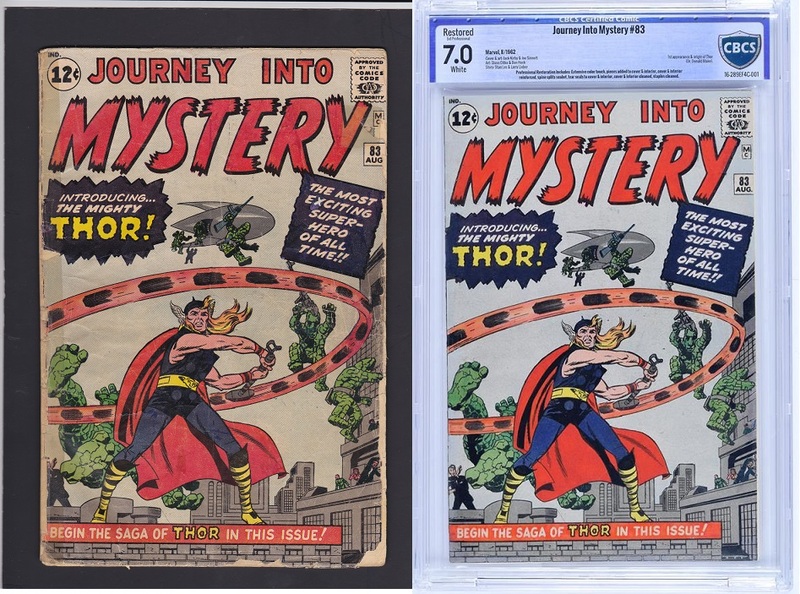 This first appearance of Thor also featured an appearance by the dreaded SUBSCRIPTION CREASE!!! See how I defeated this vile defect and restored Thor to his rightful glory! 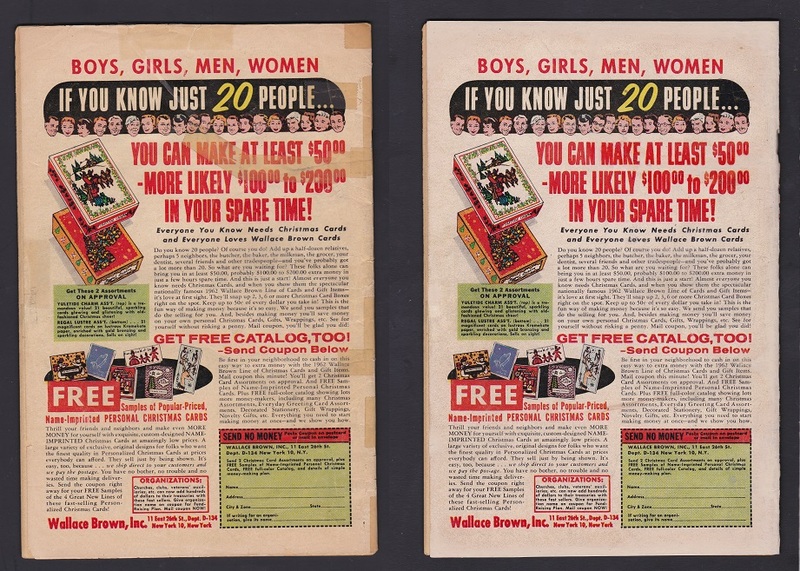 The subscription crease might be hard to see so be sure to click on each image to view a larger size. 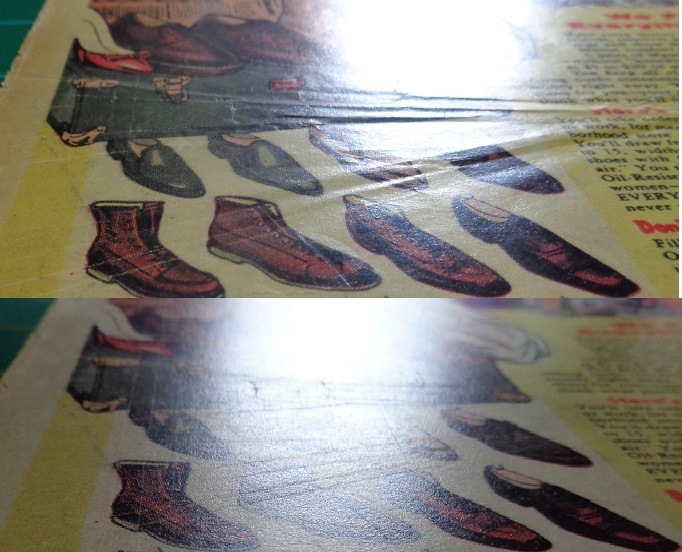 These types of defects do not always disappear with restoration, but on this book it did. 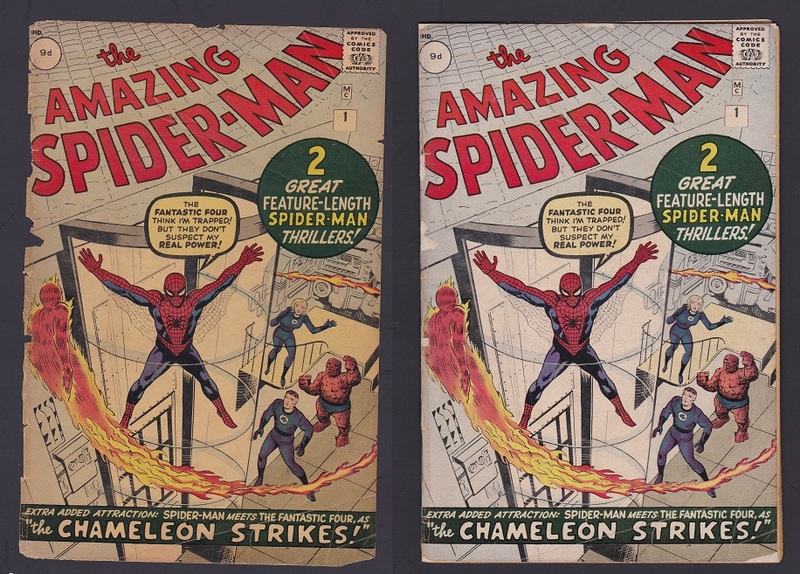 The last picture shows how well the book graded at CGC. From a ‘Sub’ 2.0 grade all the way to an 8.0! 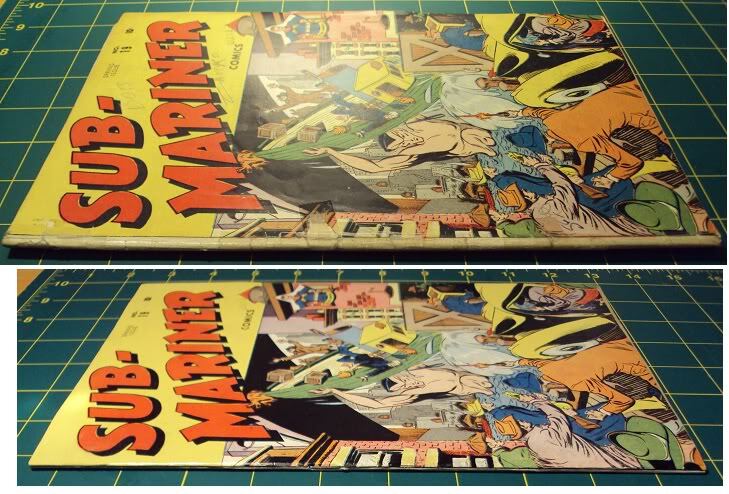 This entry was posted in Comic Restoration and tagged restoration, spine damage, tape removal, Timely Comics on September 26, 2014 by heroAdmin. 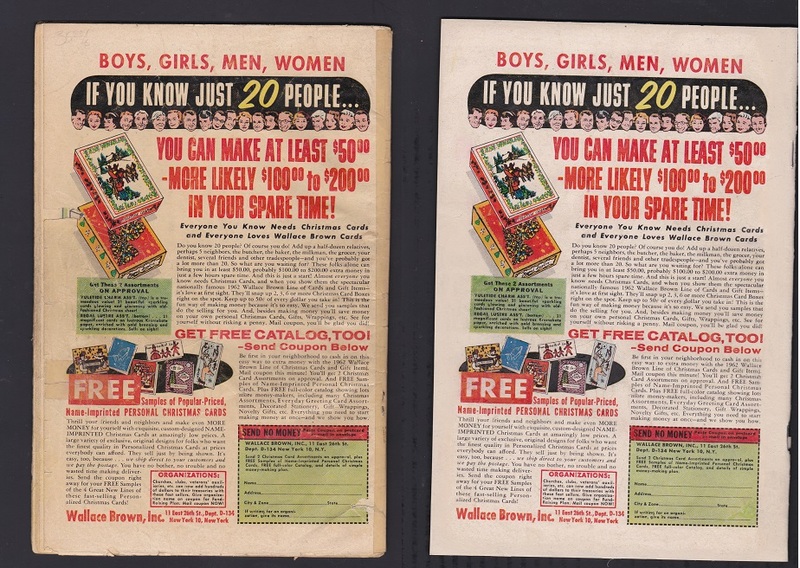 Most of the problems with this boook involved a rough spine, a couple of medium size portions of paper missing with needed art recreated, some tape to remove and staining. 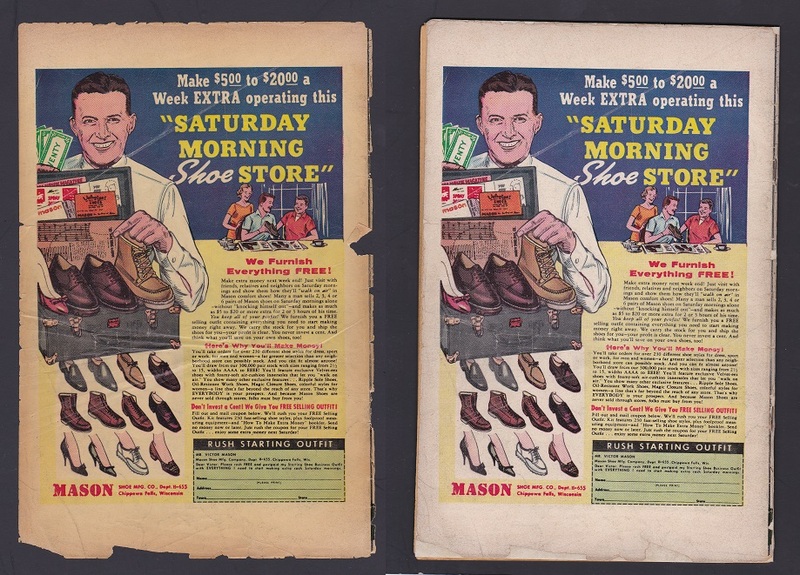 An All-Star restoration project – From 0.5 to 6.5! 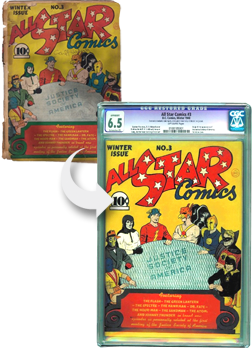 This entry was posted in Comic Restoration and tagged all-star, DC Comics, restoration on September 26, 2014 by heroAdmin. 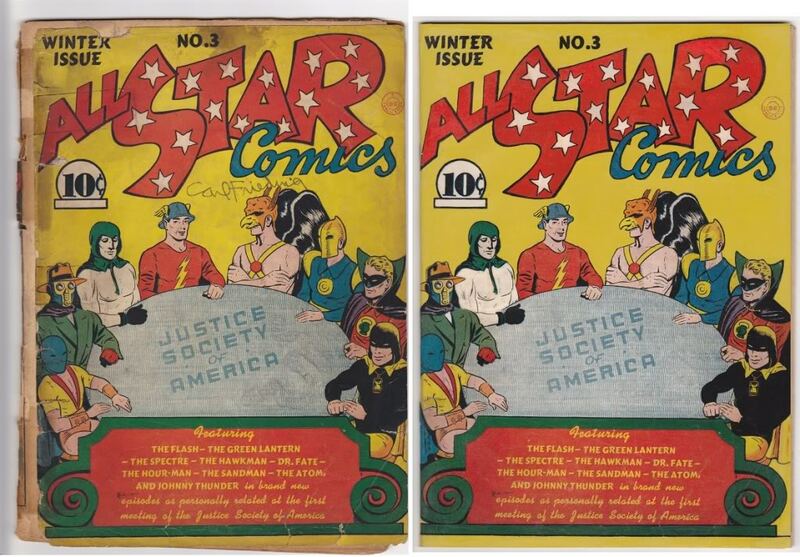 What an amazing experience it was to work on this great DC key issue: All-Star #3 First Appearance of The Justice Society Of America!